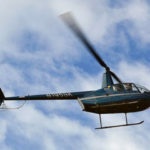 All proceeds from the 2019 Helicopter Charity Golf Ball Drop will benefit the mission of the ARCHway Institute through their many partners and sponsors. The ARCHway Institute provides grants and scholarships to help individuals who want to be in a Recovery Program but cannot due to financial barriers. Special thanks to the Chapel Hill – Carrboro Sunrise Rotary Club for their leadership role in running this event! To sponsor or purchase tickets, complete the form below. Enter the quantity of packages to purchase. Price is per package.